Awesome work Sam. Appreciate quick arrival as otherwise I had to wait with a little child outside. Totally different experience. To reach the main door he also had open another entry door which he did with smile on his face. Best service. Quick, reliable, reasonable priced and makes you a priority! Very happy with Ray’s service. Will reccomend to anyone. I couldn’t recommend Empire Locksmiths more. Ray was an absolute professional to deal with from the enquiries process through to the day of installation and afterwards. He was patient and answered any questions I had. He and Sam were a pleasure during installation and recommended the best options for us without a sales spiel or the money grab that so many other companies do. We accidentally locked ourselves out on Australia day. Called them and someone came within 15mins and did the job within 5mins. Very friendly and efficient . Came at short notice, did great job and very polite and helpful. The team are excellent and so professional. They arrived on time and were very professional in their approach and advise. We have us d them several times and will not rely on anyone else for our house security. Great rates and service! Ray and Sam were friendly and helpful when I first called in to ask about getting my locks done and this translated over to when they came out and did the job. Thanks guys! called two other locksmiths to rectify the issue I had with my front door without any success. I was told by my neighbor to call Ray from Empire Locksmiths. It was truly the best decision I made. Ray not only rectified the issue we had, but he made sure it doesn’t happen again. His friendly service is above all others, and his prompt call out and fast response is what I expected from his polite well spoken manner on the phone when I called to speak to him. Thank you so much mate…. Fast, prompt, no dramas! Just what I needed! Even lent his gear out to other, less competent tradesmen on the same work site to get me out of a pinch. I’ve used Empire Lock Smith 3 times already from an apartment to a house. Honestly one of the best experiences I’ve had with a locksmith. His professionalism and customer service is truly the best in the business. He also gave me security tips and advice on how to keep my home safer. I have never experienced this with any other locksmith before. Top job Ray…. Great experience with Empire Locksmith. Ray was professional and friendly and got the job done promptly. Will definitely recommend! Excellent and friendly service with reasonable prices.Ray and Sam are very professional and punctual. Highly recommended. Fast, polite, courteous and professional, Sam from Empire locksmiths got me out of a jam within minutes of calling on a Friday evening. The price was very reasonable too, look no further, you’ve found the best in Sydney right here! very professional, friendly and good service. I called Empire locksmiths and security to replace some locks in my house. Ray and Sam were able to come out promptly. They managed to match the key locks to the one key for me. They offered me a free security survey and provided me with options to better ensure my windows were safely locked and protected. I found Ray and Sam to be very professional and friendly. They took the time to explain what work was carried out and they clearly demonstrated an ideal customer experience. I will be sure to use them in the future. Friendly and professional service delivered in a timely fashion, even on a public holiday. Really appreciated the simple processes to ensure privacy and security. Ray was amazing! Came an unlocked my apartment door within 30minutes, super affordable and professional. Sam from the company was snappy with the quote and honoured his commitments. Service was terrific. Highly recommended. I called Empire Locksmiths to change the locks at our house we recently purchased, Sam attended and change all the locks and keyed all to one key!Thanks again Sam! Many thanks for your friendly,prompt ,efficient and professional service in a stressful situation will definitely recommend you to everyone ! Recently bought a new apartment and needed front door lock changed and bolts added to sliding glass doors. When I called, Sam advised I could rekey instead of changing locks which was a better option for us. He quoted a reasonable price. Ray and Sam turned up exactly on time, looked over what needed to be done and went right ahead and did it all then and there. Job was done quickly and properly. No hidden costs. They were even respectful of shoes on new carpet without me even mentioning. Personable and professional. Highly recommend!! Thanks again Ray & Sam! Great service, quick to arrive and got the job done without issue. Thanks! They are perfect, fast and good. Empire Locksmiths came recommended by a close friend. Their pricing was significantly cheaper than the 4 other companies I researched. They arrived on time on Saturday morning, were friendly and efficient. Great value for money for expertise you can trust, I will definitely be recommending them to my friends too. Empire Locksmiths are the most reliable and trustworthy locksmiths I have used in a long time! Ray has been fast to respond to my call and provide an effective service. Ray has great knowledge of Ryde and the surrounding area! A truly reliable and honest local locksmith! I was locked outside of my flat. So I called Empire Locksmiths. Sam arrived in 15 minutes (to Meadowbank) and in the next 5 minutes I was happy to get into my apartment. The service is very fast and professional. Thanks a lot! Great service and so quick and professional. Will definitely recommend these guys if you want to have peace of mind. Very happy with their friendly service and competitive price. I would recommend them and will use them again if needed. I called at 8am and my locks were done by 10:30am. Very impressed!!!! Very happy with the service that was received. Ray responded to my request promptly and was able to complete the job on the very same day. They even provided extra sets of keys for the locks. Would highly recommend them and would call them again in the future for any further locksmith work. Ray and Sam provided great service at competitive price. They are honest business person who are approachable and very helpful. If you need a locksmiths who you can trust and rely on, Ray and his team would be the ideal option. Ray and Sam arrived promptly (within a few hours), gave great advice and then set about providing a very professional and friendly service. Nothing was too much trouble and I was very satisfied with the work and the service. Would definitely use them again. Highly recommended. I’ve used Empire Locksmith’s services twice now, to change the door lock and install a deadlock. Both times Ray and/or Sam were able to come at short notice, jobs completed professionally with no fuss or issues. Very friendly and competitive prices. 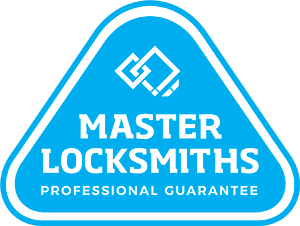 If you’re after an honest, professional hard-working locksmiths service look no further. Thanks again! Although not an emergency, Empire Locksmiths provided same day service which I appreciated. They were professional, courteous, reasonably priced and arrived on time. The job took longer than originally expected. Ray and Sam also observed that an adjustment needed to be made to an external door lock, thereby protecting me from being locked out of my home down the track. They did the extra work for no extra charge. I highly recommend Empire Locksmiths & Security. I was locked out of my house and called Empire Locksmiths who came to my rescue within 20 minutes. After gaining access to my house Sam suggested some simple yet effective security options. Sam was able to complete these in the same visit which was great. They called me within minutes of my posting a request and arranged a time to come out the same day!! They were extremely professional and helpful. They were efficient when they arrived, great service. I can’t recommend them highly enough! A+ after calling other locksmiths in the ryde area with no answer last night at 11pm as i was locked out, Empire locksmiths answered and were here in 20 minutes and 5 minutes to let me in!!! would like to thank Samuel for his efforts and recommend to all my friends. lightning response, amazing service, extremely affordable and a pleasure to deal with.. i was locked out of my salon, had clients waiting and they came out within 10 minutes. Quick response, professional service, reasonable fees. Highly recommended. After purchasing a property, I had noticed keys were missing for locks on some windows. I called Empire locksmiths who came highly recommended from a friend. I found them to be very friendly over the phone, they gave me options which were cost effective and suited my budget. Overall I found the team at Empire locksmiths to be very professional, with a great customer experience. I will be sure to use them in the future. Fantastic service from Ray. He was prompt, efficient and his rates were excellent. Not only did he change all the locks for me, but I had some furniture that I couldn’t get into the house because it would not fit down the narrow hallway. Ray came up with a solution and now I have the dining room table in my house. Thanks Ray! arrived on time and was a freindly and profesional service…. will definatelty recommend to others. Empire Locksmiths are not a local locksmith for my area but still manage to beat anyone else out here…. They came to my rescue and unloacked my door in the pooring rain last week. There service was very prompt and profesional. I would highly recomend them to all. I needed a locksmith out of hours in an emergency. Empire Locksmiths not only came straight away and solved my problem, they were able to improve my security with a few simple suggestions. Fast, professional, and helpful. I couldn’t recommend Empire Locksmiths enough! Fast response, reliable service. Highly recommended. What a relief! After being knocked back by 3 other companies on a Saturday morning (all unable to come to be for at least 4 hours), Ray was at my business in no time… 30sec later I was back working in my office! Quick fast and reliable! A pleasure and thank you!